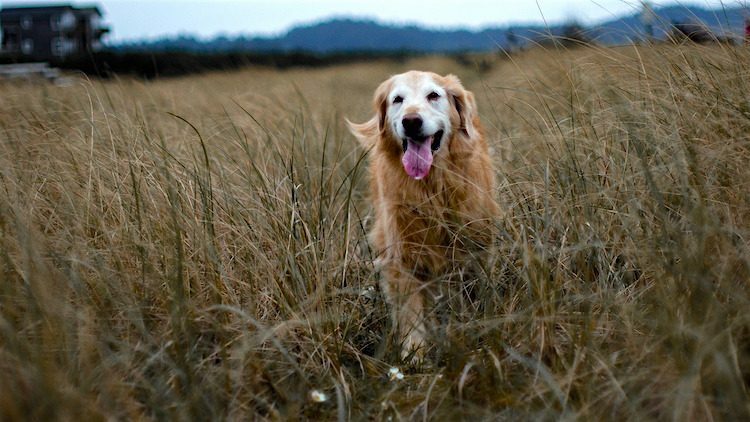 Dogs are living longer, but this means more of them are living with arthritis. These 10 methods of treating arthritis in dogs can give pets their bounce back. Dogs are living longer, so joint disease is a common problem. But if the thought of arthritis in your dog makes your heart sink — it needn’t. A range of therapies are available for treating arthritis in dogs, whether the problem is a mild ache or a crumbling hip. 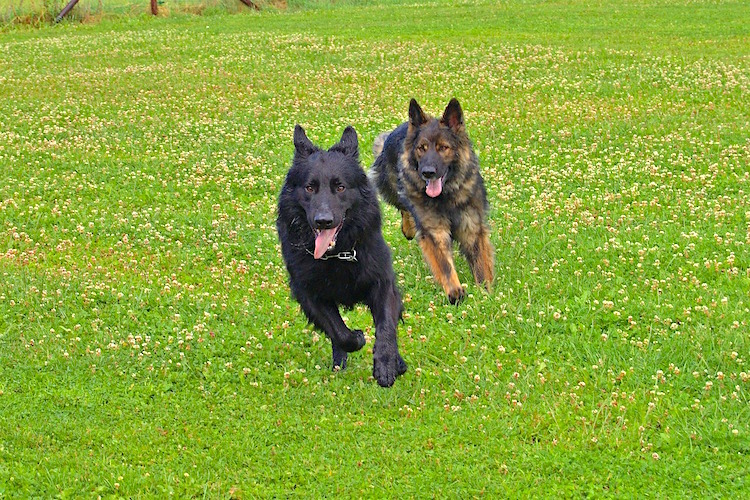 Large breeds in particular are living longer than ever before, but severe joint disease in this population can be so debilitating that quality of life is severely diminished. As we mentioned, arthritis is a common condition in dogs — and cats. Yes, cats do get arthritis — they’re just better at hiding it. Osteoarthritis (OA) is a degenerative condition of the joints that causes stiffness, loss of mobility and discomfort. In the early stages, arthritis causes inflammation in the joints. An unfortunate consequence is that new bone is laid down. This remodels the joint, but not for the better — new bone deposits get in the way of movement and restrict how far the joint can bend and flex. Typically, the first signs of arthritis are stiffness when getting up after a long rest, such as first thing in the morning after a night’s sleep. You may notice this when your pet stretches in a tentative manner and takes stiff, stilted steps when he first rises. In the early stages, this stiffness eases within a few minutes as he gets moving and the joints warm up. In more advanced cases, either pain or physical changes in the joints mean the stiffness becomes permanent. Other signs include long-term lameness or limping on a particular leg. The affected joint(s) may be bigger than the same joint on the other leg and may feel hot to the touch. Some pets lick at a sore joint in an attempt to ease the aching discomfort. A giveaway clue of this is if your white-coated pet has brown saliva staining a joint. The initial inflammation that is the start of arthritis often happens because of damage to the joint where bone rubs against bone. This could be because of an accident in earlier life or as part of the aging process, where the joint lining cracks and chips. Joint surfaces are meant to move smoothly over one another. Slippery fluid lubricates the joint, and the joint surfaces are lined with smooth cartilage so the bones slide over one another without catching or knocking. When damage occurs to the cartilage lining or the amount of joint fluid decreases, bone rubs against bone, causing inflammation that makes arthritis painful. In an attempt to repair itself, new bony spurs are laid down, but this limits the range of joint movement and results in permanent stiffness. The history of long-term stiffness, which gets steadily worse, is a clue to arthritis, although other conditions can also cause similar signs. To reach a diagnosis, your veterinarian watches your dog or cat walking and examines each limb, looking for telltale signs of pain, heat or swelling of the joints. To confirm the suspicion and to rule out other problems, such as a joint infection or cancer, the next step is to take radiographs of the sore joints to look for changes associated with OA. Based on those results, it may be necessary to take a sample of joint fluid to look for bacteria and rule out infection. The mainstay of arthritis treatment is pain relief, of which drugs most commonly used belong to the NSAIDs. These medications are effective and have a high safety margin — although, as with any medication, side effects may occur in some individual dogs. In the next section of this article, we’ll discuss much more about the various ways of treating arthritis in dogs. Carrying weight makes you work harder. The same is true for weight and your pet’s joints — carrying excess weight puts more strain on the joints. Scientists looked at this in humans as well as in pets, and the message is that losing weight is a great treatment for arthritis. Nutraceuticals are food supplements with a drug-like action. 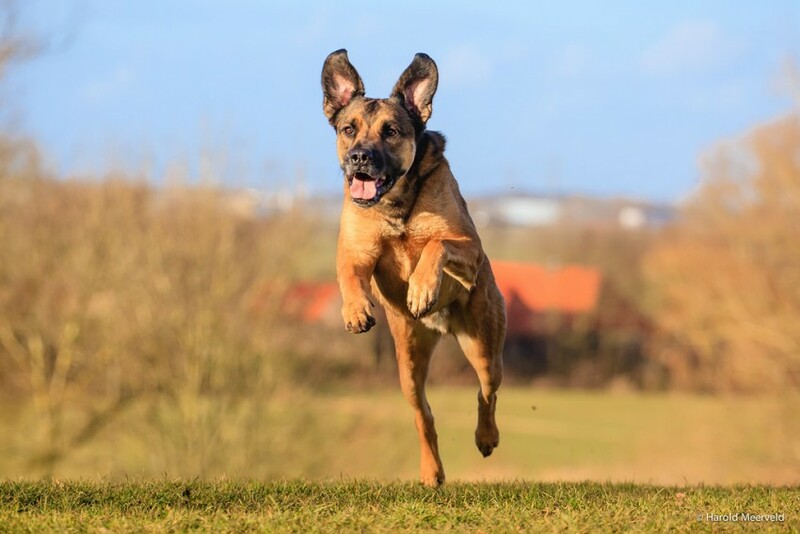 For many years, people have commented on how much chondroitin and glucosamine improved their pet’s mobility, and now the evidence is catching up as scientists learn about how nutraceuticals work. They naturally reduce joint inflammation. They provide the building blocks of repair. Whether you believe they work or not, nutraceuticals are safe to give alongside conventional medicine, so there’s nothing to lose except the purchase price. It removes toxins and inflammatory chemicals. It Increases the oxygen supply to damaged tissue. Not only does massage help detox inflamed joints, but it also keeps the muscles supporting the joint strong. The problem with pain is the dog limps and then uses different muscles to move. This means the muscles that normally support the joint waste away, which puts more stress on the joint. Physiotherapy uses physical manipulation and non-drug therapies to reduce pain and increase mobility. In just the same way you have physical therapy after an operation, arthritic pets benefit from physiotherapy to keep them mobile. Muscles support joints. In a vicious circle, arthritic pain leads to lack of exercise, which causes more muscle wastage. The non–weight bearing exercise of swimming rebuilds the muscles to support the joints and gets the animal moving again. However, hydrotherapy is very different from a casual dip in your pool. The dog is supported in a harness and lowered into warm water, where currents encourage him to move his limbs. Many excellent pain-relieving medications (from the NSAID family) have high safety margins. Pain relief is not only humane but also encourages mobility. Keeping your dog moving interrupts the downward spiral of stiffness leading to disuse and further soreness. TENS stands for transcutaneous electrical nerve stimulation. It is a small battery-powered device that produces a low electrical current to the skin. This “distracts” the nerves from sending out pain messages, or “closes the pain gate” as physiotherapists put it. You can give this therapy at home, the benefits of pain relief last after the session is finished, and you can repeat the therapy as frequently as you wish. Cold laser therapy is a non-invasive, drug-free way of increasing the micro-circulation to inflamed joints. This then takes away toxins and deactivates the chemicals of inflammation, which helps healing and reduces pain. Pets tolerate this therapy well, and many seem to enjoy it. In stem cell therapy, baby stem cells harvested from body fat are processed and injected into the diseased joints. These stem cells then change into new cartilage cells to repair and replenish the damaged surfaces. Although scientists debate the effectiveness, 98% of pets reportedly show an improvement — many of these life-changing. Just as people can have joint replacement surgery, so can dogs. Until recently, the wide range in sizes — from Chihuahua to Great Dane — held things back, but now more implant sizes are available. This is major surgery, but for many dogs the benefits are so life-enhancing that it’s worth considering. Part 3: What Medicine Is Best for Treating Arthritis in Dogs? 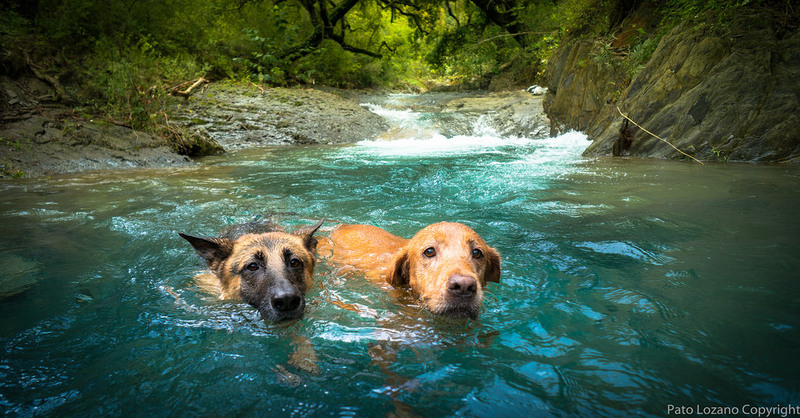 Next, let’s take a deeper dive into medications for treating arthritis in dogs. But first, let’s talk about some common misperceptions. People may accept it as a common part of aging in their dog and not something that needs to be addressed. Folks may not realize there are a lot of treatment options, new therapies and drugs on the market. If their dog is currently taking medication for arthritis, people might assume there’s no other way to help. They can get confused about the categories of medications and how they work, when and how often to use them, and how to combine them safely. We humans take non-steroidal anti-inflammatory drugs (NSAIDS) such as aspirin, Tylenol, ibuprofen, Aleve, etc. We may be prescribed other NSAIDS only available with a prescription from a doctor. NSAIDS are the most common class of medication veterinarians prescribe for joint pain, whether it be an acute injury or chronic OA. Several NSAIDS are made by pharmaceutical companies that vets commonly prescribe: carprofen (Rimadyl), meloxicam (Metacam), deracoxib (Deramaxx) and firocoxib (Previcox). Galliprant is a new veterinary drug described as an anti-inflammatory and analgesic. In using it for only about 1 year, I have had some good success stories with this medication. It has fewer potential side effects than other NSAIDS and does not have to be monitored as closely. Analgesics ease pain but are not anti-inflammatories. They are often used in conjunction with an anti-inflammatory and supplements. Tramadol is a synthetic codeine analogue. We are using it more and more frequently, particularly when arthritic pain is exacerbated or for post-surgical pain. Used in people as well, its effectiveness is controversial. The abuse and addictive potential is low. Gabapentin (Neurontin): In trying to classify this drug, the actual chemistry of it and how it works in the body is still unknown. It is used to control chronic OA pain and neuropathic pain in people and pets. It can be used in conjunction with NSAIDS, other analgesics and supplements. There is a very wide dosing range, and you should always discuss this with your veterinarian. These are a class of nutraceuticals (supplements) that should have anti-inflammatory properties as well as protective properties for injured or aging joints. Glucosamine-chondroitin sulfate (affiliate link) is the most common nutraceutical used for joint pain. It is supposed to protect joints by stimulating synthesis of synovial (joint) fluid and inhibiting further destruction of joint cartilage. 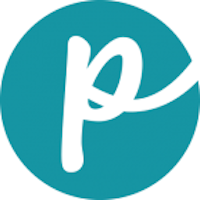 Adequan (PSGAG) is a veterinary drug that must be injected. This drug may work more quickly and effectively to inhibit inflammation in the joint. It’s fairly easy to teach most people how to give the injections at home. If there is no improvement after 4–6 weeks, the injections are discontinued. The side effects are very few, but it is a bit pricey, particularly for a large dog. I have seen some amazing results with this drug — and some other cases where there is no change at all after the trial 6 weeks. Many supplements claim they are wonder drugs for arthritis. Most of them combine a glucosamine source with fatty acids. Antinol (Vetz Petz) is a new fatty-acid supplement that seems quite promising. It is usually used daily in conjunction with NSAIDs, and it may reduce the amount or frequency of the NSAID, cutting down on potential side effects from these drugs. And remember, your vet is a great resource for combining drugs with other therapies such as laser, acupuncture, hydrotherapy and more. Many of my clients caring for aging pets have a bulging medicine cabinet full of stuff for old Sophie or ancient Bubbles. In fact, a client called me the other day with medications prescribed for joint pain from 3 different vets with different instructions. One was given by me for chronic arthritis, another was dispensed by an orthopedic surgeon post-op and yet another was from an emergency vet. No wonder she was confused. 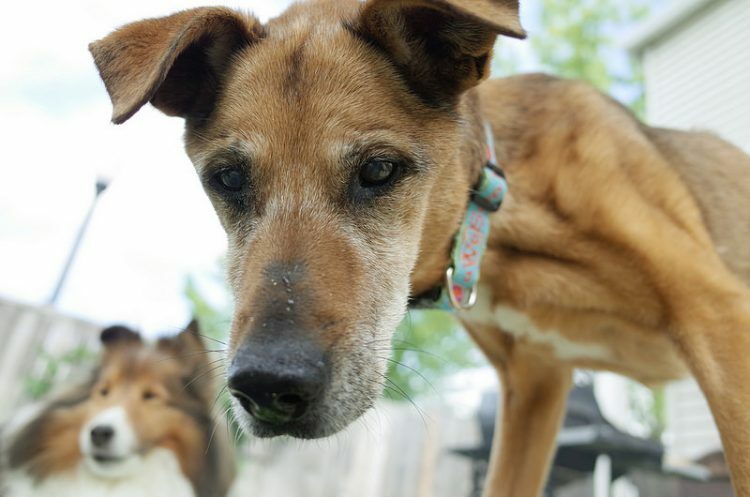 Your dog’s arthritic condition is not stagnant. It is chronic and may improve for times or have periods of increased inflammation and pain. The dosing schedule, the dosing amount and the combination of drugs used to treat this pain is not stagnant either. Check with your vet if you have concerns that your arthritic pet needs some adjusting in their meds. We now use a multi-modal approach in treating OA. The results are often positive. Our aim is to improve mobility or at least maintain a certain level of mobility and, above all, control chronic pain associated with OA. “A review of osteoarthritis and obesity: Current understanding of the relationship and benefit of obesity treatment and prevention in the dog.” Marshall, Bockstahler, Hulse & Carmichael. Vet Comp Orthop Traumatol. 2009; 22(5):339–45. “Pharmaceutical and nutraceutical management of canine osteoarthritis: Present and future perspectives.” Henrotin, Sanchez, Balligand. Vet J. 2005 Jul; 170(1):113–23. Plumb’s Veterinary Drug Handbook. Donald Plumb. Publisher: Wiley-Blackwell. “Non-steroidal anti-inflammatory drugs and corticosteroids for the management of canine osteoarthritis.” Johnston & Budsberg. Vet Clin North Am Small Anim Pract, 27: 841–862. “Pathophysiology of osteoarthritis.” Martel-Pelletier. Osteoarthritis Cartilage, 6(6): 374–376. This article on treating arthritis in dogs was written by veterinarians Dr. Debora Lichtenberg, VMD, and Dr. Pippa Elliott, BVMS, MRCVS. It was reviewed for accuracy by Dr. Elliott and was last updated Dec. 17, 2018.